The objective of the present review paper was to comprehensively introduce the pain symptom and comorbidities of depression, anxiety, and learning and memory dysfunctions in the central poststroke pain (CPSP) of human and animal models. CPSP is a disease in which the lesion or dysfunction of the spinothalamocortical circuits is due to thalamic stroke hemorrhage. 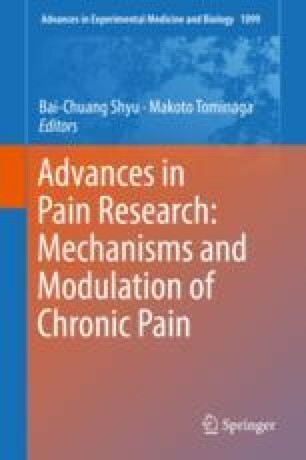 According to previous literature, CPSP patients experience impaired explicit and implicit learning and memory in addition to the pain symptom. Moreover, there are associated depression and anxiety comorbidities for CPSP. However, the data from some clinical studies were not supportive of the notion that CPSP patients also experienced induced comorbid depression and anxiety. On the other hand, the motor function test was likely to be inconsistent in terms of the results of human and animal models. The review paper provides some implications for further development of animal models for examinations of CPSP comorbidities of depression, anxiety, learning and memory dysfunction, and motor functions, aside from the central pain symptom. In human models, some conflicting data related to comorbid depression, anxiety, explicit and implicit learning memory, and motor dysfunctions should be re-elucidated in further studies. This research was supported by funding from the Ministry of Science and Technology of the Republic of China (MOST 105-2410-H-431-005 and MOST 106-2410-H-431-006 to ACW Huang).